Before getting started, make sure that you have the following information available from DHL. 2. Wait for DHL Customer Service to contact you to get more information about you and/or your business. Once the account has been approved you will receive your account number from DHL. Moving forward, you'll also need developer access from DHL. When registering, please indicate “Easyship” in the field titled, "Describe the application and business process where XML Services will be used." 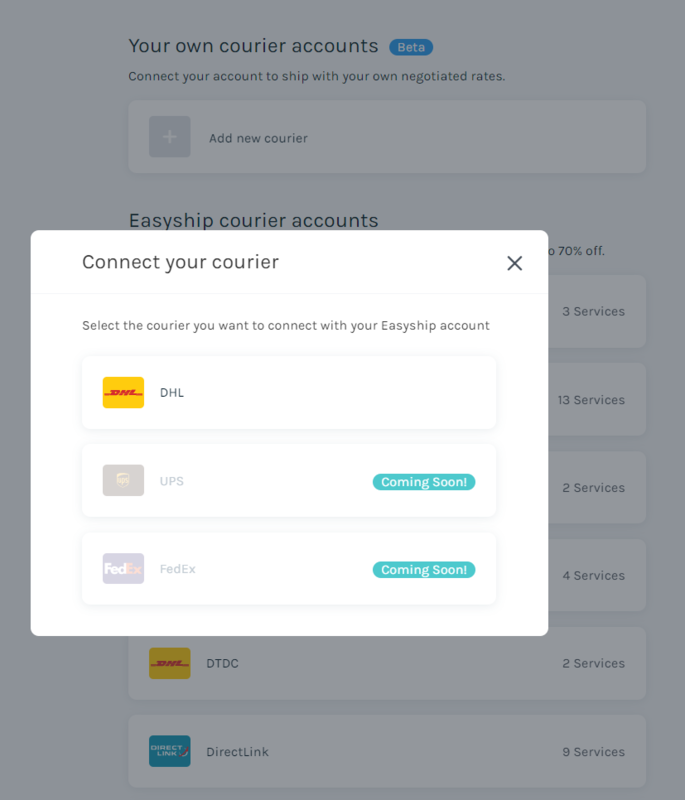 It's possible to add your personal Courier Accounts on Easyship. However, note that this feature is currently in testing, which means you may occasionally experience some issues. Kindly reach out to our customer service team directly if you have any questions. Once there, click "Add new courier"
You will then see the couriers that are currently available to be added into Easyship. 2) Once you have selected the courier which you have a personal account with, you will need to provide some account information. 3) Once you've successfully entered all the information, the courier will be added. 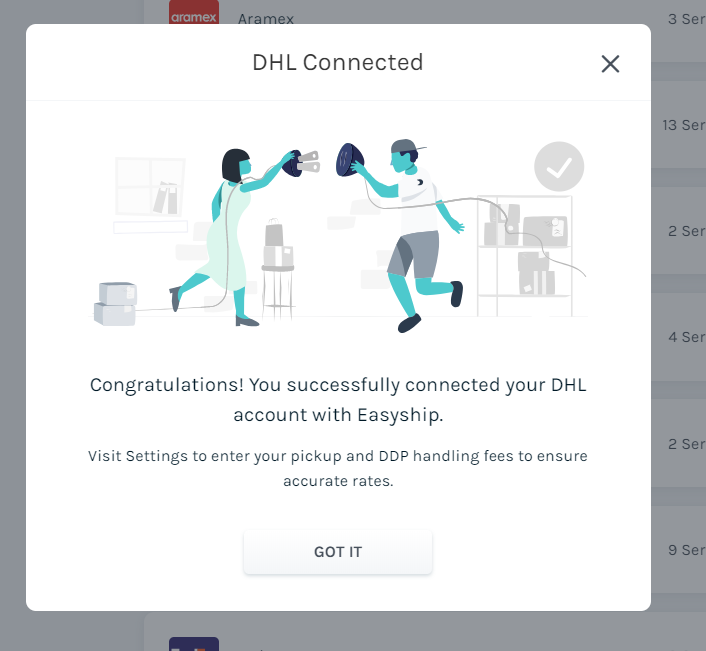 Please note that Easyship does not know your contractual situation with the courier, which is why you'll be prompted to enter your Pickup and DDP handling fees. If not provided, we will assume that your pickup fee is $0 and that your DDP fee is HKD$100/US$10/SG$10/AUD$10. This fee will automatically be added to your rates and quotations. 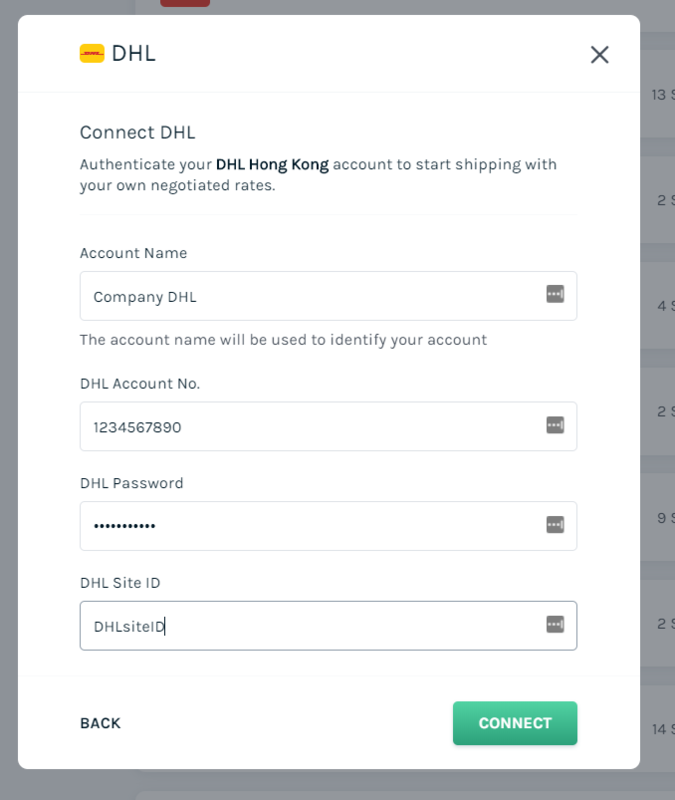 1) To change your courier settings, passwords, or handling fees, click your courier of choice. Site ID or other required information from the courier.